It just makes sense to carry a MasterCard® credit card with Manatee Community Federal Credit Union. You can't go wrong. We offer MasterCard® to all our qualifying members. Whether it's your first credit card or a share secured card it is sure to fit your needs and your wallet. You can shop with confidence every time you use your MCFCU MasterCard®. Allow MCFCU to help you establish or build your credit with a secured MasterCard®. The MCFCU secured credit card provides you with access to a credit line, and your payment activity will be reported to the major credit bureaus. Keep your balance low relative to the credit limit for positive impact on your credit. Approval is not based on creditworthiness. The MCFCU MasterCard® is a regular credit card that provides you with a credit limit equal to the amount of the deposit. It can be used anywhere that accepts the MasterCard® logo. Choose the card of choice, low rate and no annual fee! Swap your high interest credit cards and drop your rate to a low 7.9% (APR)* balance transfer. Not sure of debts to combine? Stop by our Bradenton branch or contact one of our qualified loan experts. We will be glad to assist you. We will take care of the transfers! Just bring us your statements and we'll do the rest! 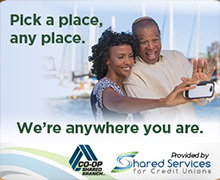 If you don't have a Manatee Community FCU MasterCard®, contact us at 941-748-7704. It has never been easier to apply! Not a Member yet? Open your membership, fund your account and return back here to submit your required documents. In order to complete your application, the following information must be submitted. Apple devices do not support uploading files other than images. All document submissions are secure and protected. Due to a MasterCard® mandate, your Manatee Community Federal Credit Union MasterCard® will automatically be in enrolled in the MasterCard® Account Updater. This service will provide updates to merchants who maintain card-on-file (COF) account information to process recurring customer payments, such as subscriptions or utlity companies. These services will assist with reducing the number of declined transactions due to expired cards, lost/stolen cards, or other card-related changes not reported by the cardholder to impacted merchants. To report your MasterCard lost or stolen, please call 1-800-338-0566 immediately.